Bow and arrows are one of the weapons in Red Dead Online. The bow can often be a better choice than firearms, since it’s completely quiet. You can use it when you want to sneak up on an enemy, maybe clear a gang hideout unseen, or when you want to hunt certain animals. You can’t get the bow early on, and one of the missions – Where Your Morals Lead You – will mention you should take a bow with you, even though you can’t possibly have it when you first try it. 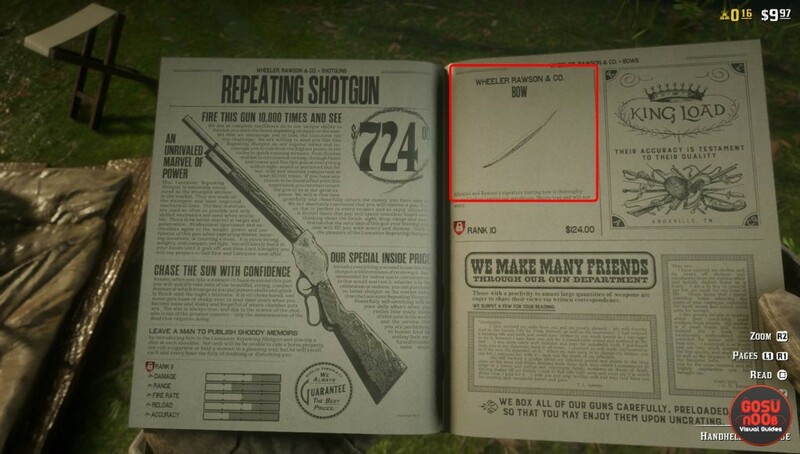 If that got you thinking, keep reading this guide to find out how to get bow & arrow in RDR2 Online. Where to find bow & arrow in RDR2 Online? We haven’t seen a single place in free roam where you can pick up a weapon without paying for it. This only happened in organized PvP activities like the series playlists. With that in mind, we do know you can buy a bow at one point. It is being sold at every gunsmith’s shop, but you can also buy it through your catalogue, which is accessed by pressing right on the D-pad. You’ll need to pay around $125 for it, which is quite a bit if we’re honest, but we have a guide that will show you how to make money in Red Dead Online. There’s also the question of rank – almost every weapon in the shop unlocks only at a certain point, after you’ve reached a high enough rank. The bow is unlocked once you get rank 10, which should happen somewhere around the time you’re done playing all the missions for the first time. This means there’s practically no way to get the bow for the Where Your Morals Lead You mission, at least for the first playthrough. It isn’t necessary, though – you can complete the quest without it – so it doesn’t really matter. As for arrows, you can get them the same way you get other ammo – either loot them from corpses, or buy them from the shop.